With their self-titled album’s infectious and sincere melodies, beats, and lyrics, Foxwarren have stepped into the scene with admirable fervor, delivering to listeners a rock experience for the ages. Canada-based singer/songwriter Andy Shauf joins childhood friends Dallas Bryson and brothers Avery and Darryl Kissick to create Foxwarren, an experimentation of the classic rock formula with inclusions of synths, modern flourishes, and some of the most poetic lyrics in the scene. 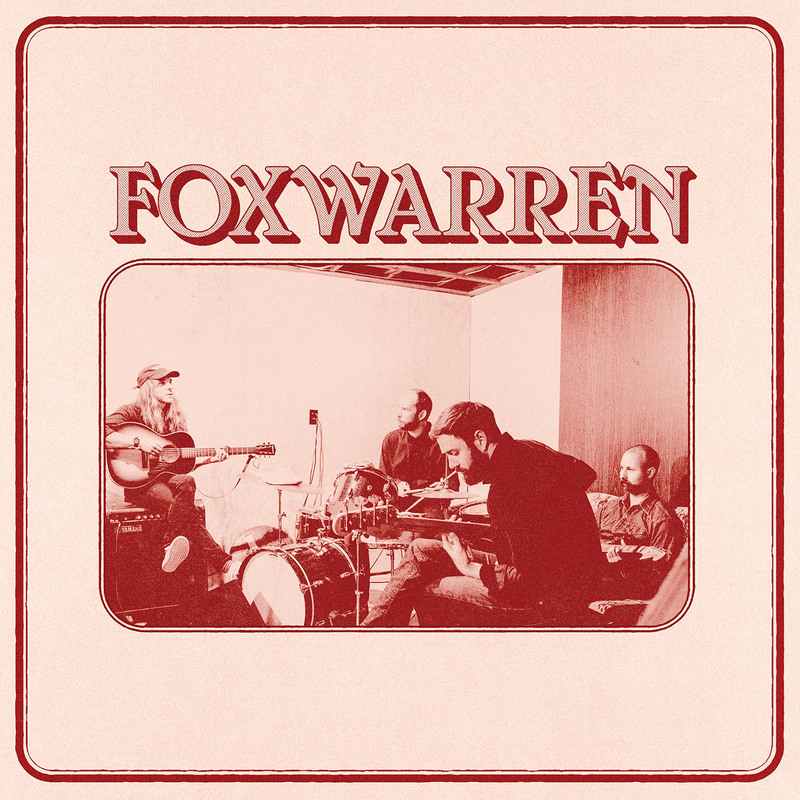 Their self-titled album Foxwarren (out tomorrow, 11/30/2018) started a decade in the past and has now fully emerged into a piece of craftsmanship and art that excels at delivering a unique and fulfilling sound. The result is a spell bounding journey that is filled with gorgeous rhythms and an immense amount of heart. Foxwarren sprung almost out of nowhere, releasing their first single “Everything Apart” with an accompanying noir-inspired music video on November 5. The track is slick and exudes a coolness that is dangerously sharp. Soon after, on November 14, the lead single “To Be” dropped, and what a way to open the album. Listeners hear the guitar chords being strummed with that signature soft touch from Shauf, and once his almost bashful vocals begin, it might seem like a follow up to Shauf’s The Party is about to begin. That couldn’t be farther from the truth in the most fantastic of ways. Once the drums kick in and piano begins, it’s evident each member has a story they wish to share. And this is what Foxwarren excels at: showcasing each member and allowing them to express themselves in their own way while simultaneously blending with their bandmates with complete perfection. Of course, listeners will still be served a healthy and addicting taste to Shauf’s often melancholic but bright lyricism. “In Another Life” starts with a ‘70s guitar melody and the line “Poor fool, look at you now. Finding nothing in your heart can last.” It’s Shauf at his best. It’s a slow-paced track, one that brings a beat that will get one swaying like it’s an instinct. “I’ll Be Alright” is a delightfully cheerful track with its simple but effective guitar strumming and catchy percussion. The halfway point of the song brings out a jaunty little piano tune that connects the beginning and end seamlessly. Towards the end of the album, Foxwarren dips into the hypnotic. “Fall Into a Dream” has a colorful guitar arpeggio and a sleek drumbeat from the start that sets a sly, glib tone. Towards the track’s end, listeners are taken on a trip and experience just how aptly titled the track is. The reverb-laced guitars create this dream-like soundscape that’s kaleidoscopic, leaving listeners relaxed and blissful. The closing track, “Give It a Chance” has a slow, melodic build-up with echoing guitar and basslines that set a carefree and serene mood. Very little vocals are present, only taking up a fraction of the song as a whole. It’s a perfect close to the album; the melodies waft its listeners down a bucolic and tranquil path that instills peace. And when the faint sounds of nature stop, one would be hard-pressed not to take a deep breath, exhale, and smile. A tremendous close to an equally tremendous journey. After a decade in the making, it’s safe to say Foxwarren has shattered expectations. Their self-titled album has solidified their sound as one of the best of 2018 with its looseness, stellar vocal performances, and driving rhythms. The companionship is palpable, each track providing an outlet for the members to give it their all, and the result is a sincere and sophisticated mélange of rock melodies that deserve praise. Shauf and friends have shown just how talented and untouchable they truly are, making this an album not to be overlooked. Foxwarren releases tomorrow, November 30, via ANTI- Records & Arts & Crafts.